Got some nice things that I wouldn't have paid full price for. 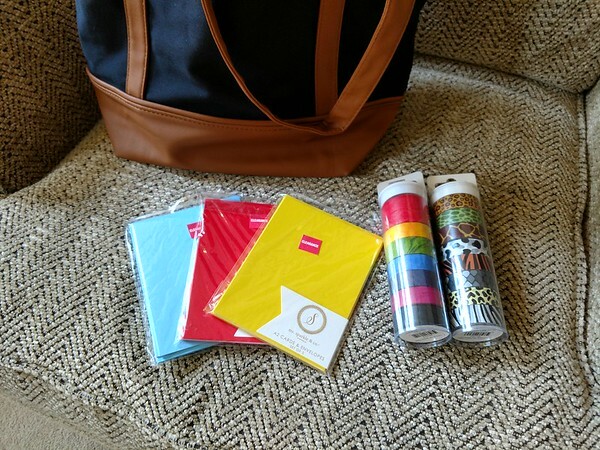 Two rolls of washi tape, some blank card sets, and a tote bag (60% off on that last). The tote bag is to attach embroidered patches to. The washi tape, well, washi tape! XD And the card sets are for a card making project for charity at work in May. Nothing wrong with getting the materials early and on sale. This entry was originally posted at https://laridian.dreamwidth.org/2975058.html. Please comment there using OpenID.